« EDGUY “LAVATORY LOVE MACHINE” – CD SINGLE FROM 2004 THAT’S OUT OF PRINT! This entry was posted on April 27, 2010 at 5:18 pm and is filed under classic rock, classic rock music, Hard Rock, hard rock bands, hard rock music, hard rock songs, Heavy Metal, heavy metal albums, heavy metal bands, heavy metal history, heavy metal legends, heavy metal music, Heavy Metal Reviews, heavy metal songs, metal music, metal odyssey, Music, rock & roll, rock and roll, rock music with tags 1970's heavy metal bands, 1980's heavy metal bands, classic heavy metal music, current heavy metal music, hard rock bands, hard rock music, heavy metal albums 2010, heavy metal bands, heavy metal history, heavy metal legends, heavy metal music, krokus 2010, krokus classic lineup, krokus heavy metal band, krokus hoodoo woman album, metal odyssey, Music, new heavy metal albums, old school heavy metal, rock & roll, rock and roll, rock music, rock n' roll. You can follow any responses to this entry through the RSS 2.0 feed. You can leave a response, or trackback from your own site. I have been playing the crap out of this one since I first got it back in February. 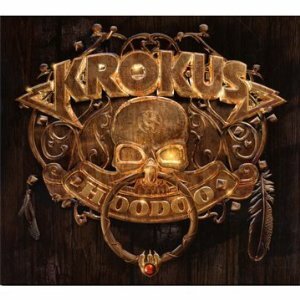 Easily one of the best from Krokus, and even better than Hellraiser which I thought was pretty damn good too!! Isn’t Hoodoo something else? I agree, I was psyched over Hellraiser when it was released, still listen to it too… then… HOODOO!! Man, I NEED to see KROKUS – LIVE! !